Intel earlier this month announced the remainder of its Coffee Lake CPU lineup. At the time, Chipzilla also revealed new processor branding – Intel Core i+ – meant to highlight laptops and desktops that ship from the factory with Intel’s Optane caching solution pre-installed. As we’re now learning, Intel had expanded plans for the Core i+ branding that it failed to mention earlier. As The Tech Report first reported on Wednesday, Core i+ CPU bundles for system builders are now popping up at online retailers around the web like Newegg. These chips are identical to their standard counterparts but also include a 16GB Intel Optane Memory module in their retail packaging. Dubbed system accelerators, Intel’s Optane modules serve to cache the contents of your storage drive for improved performance. There’s not much of a benefit if you exclusively use solid state drives but for those with traditional spinning hard drives, the gains can be quite substantial. 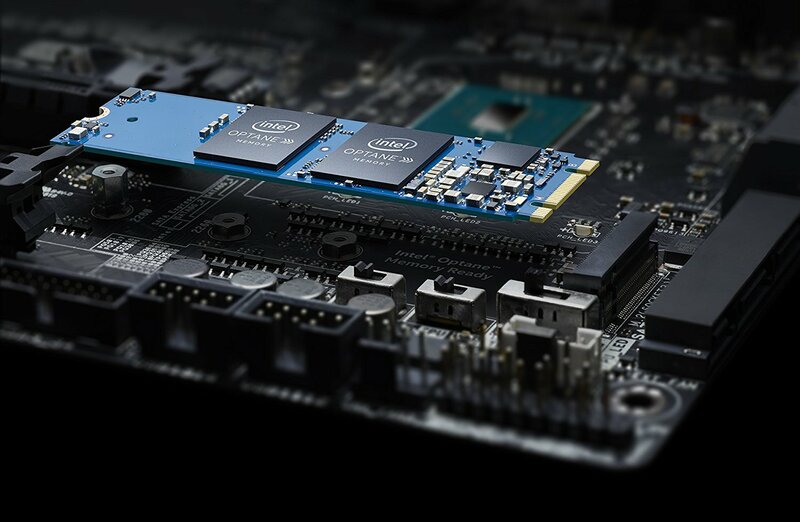 Intel’s 16GB Optane module typically sells for just south of $40 but when purchased as part of a new bundle, you can get the Optane drive and your choice of CPU and save a few bucks in the process (literally about $2-5 depending on the bundle). Sure, that’s not a significant amount of money but if you were already planning to buy an Optane drive and a new CPU, there’s no reason not to get the two together and pocket the few extra bucks.